Vonage was one of the first major VoIP providers, having first introduced their service to the masses in 2004. But since then, other VoIP providers have come along looking to unseat the leader. Vonage faces a crowded market, but definitely has time and name recognition on their side. We’re going to take a look at how ViaTalk compares to one of the leaders in VoIP. Voicemail Transcription N/A Vonage Voicemail Plus—listen to voicemail from any phone or VonageOnline account, or you can read them from mobile phone or email. Included. Softphone BYOD available free of charge Add-On ($9.99/month) 500 included minutes to US and Canada, 3.9¢ each additional minute. 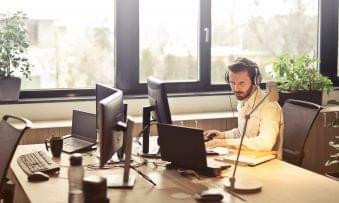 Right from the start, VoIP is different than traditional telephone services in that you must use an analog telephone adapter to connect your home phone to the VoIP provider. The VoIP provider leases or sells you a device that you must put between your router and your computer, which you hook your phones to. Considering that most of us have cordless phones at home, and many of us have phones with multiple handsets that connect to one base, this is not as big an inconvenience as it may sound at first. Also, unlike a traditional phone provider, you can take the ATA with you when you travel and make calls from anywhere you get a wired Internet connection. Both Vonage and ViaTalk give you a free equipment lease on their locked-in devices for as long as you subscribe to their service. Neither device is capable of connecting over Wi-Fi, so you must connect the adapter itself to the router. Both boxes let you connect two phones to the device, with a capacity of two lines per account. Vonage charges the same price, $26.99/mo (after $9.99 for three months), as their primary service. ViaTalk, on the other hand, allows for a second phone line for free. The second phone number, however, is not free, and costs $4.99/mo for Vonage and $3.95/mo for ViaTalk. In either case, when you have a second line, when a call comes in while you are on the phone, the off-hook phone gets a call waiting beep and the second phone rings. The second phone option lets one person talk on the phone all day without tying up the line for everyone else. It’s a good option to have when you have several people in one house. Two other options in addition to traditional landline phones are using a mobile device and using a softphone. The Vonage app is available on iOS and Android, and lets you call other devices that are using the app, but does not support any calls to the PSTN or other Vonage customers at home. 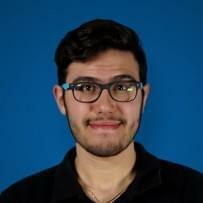 The ViaTalk app has no support for making phone calls at all. Vonage offers a softphone for $9.99 extra per month, which include 500 minutes and costs 3.9 cents per minute after that. ViaTalk makes your SIP credentials available. You can make free calls on either a computer or a mobile device with the help of a softphone dialer, but you have to be technically savvy enough to set it up yourself. Both Vonage and ViaTalk offer very tempting low prices, but you have to look at the offer a little closer to understand the true cost. Vonage offers an unlimited plan for $9.99/mo, but it’s actually only that price for the first six months. After that, it costs $26.99/mo. The total price for two years, therefore, is $509.76. There is no monthly discount for a long-term contract, but Vonage will waive activation fees if you agree to 12 months. The discounts, as you can see, are front-loaded. ViaTalk, on the other hand, offers $189 for two years. This works out if you prepay for one year, and the second year is included for free. ViaTalk’s monthly price is $15.75/mo, and that’s with a one-year contract. They don’t offer a no-contract plan at all, and you are subject to a $50 fee if you cancel early. Vonage gives you several options besides their Unlimited US and Canada plan. Vonage offers 400- and 800-minute plans, and international plans. The 400-minute plan is $12.99/mo, the 800-minute is $21.99/mo. Vonage World is $26.99/mo, Vonage World Plus is $29.99/mo, Vonage World Mexico is $39.99/mo, and Vonage World Philippines is $29.99/mo. Signing a one-year agreement will knock off the shipping and activation costs for metered plans, and get you an introductory rate on higher plans. The Vonage World introductory rate is $9.99/mo for six months, and premium international plans have an introductory rate of $14.99/mo for three months. ViaTalk doesn’t offer metered plans, but they do give you the option of ViaTalk world, which is $8.95/mo for unlimited calls to 60 countries and 12 mobile areas. There is, unfortunately, no option to prepay the international plan and save, but on the plus side, the domestic ViaTalk plan gives you 60 free minutes of calls to those same international numbers. Virtual second number: Available for Vonage for $4.99/mo or $9.95/mo international number; ViaTalk is $3.95/mo. Fax: Available for Vonage for $9.99/mo, includes unlimited inbound, 250 outbound, $0.039/additional page; ViaTalk is $5.95/mo for 200 minutes. Toll Free: Vonage is $4.99/mo, includes 100 minutes; ViaTalk is $4.95/mo plus $0.05/min. Parked Number Forward: Exclusive to ViaTalk, this feature lets you play a recording letting the caller know which new number to call if the the original number is unavailable. $1.95/mo. Vonage offers 24/7 phone support. ViaTalk offers technical support From 9AM to 10PM ET Monday through Friday, and 10AM to 10PM ET on weekends. 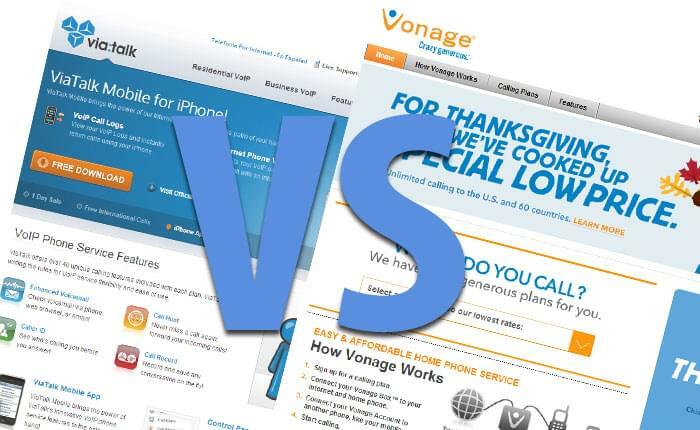 In these head to head comparisons, Vonage has consistently taken a beating from the competition. Vonage has the name recognition, and with that comes the assumption of reliability and long-term availability. But, I feel that many other alternatives, including in this case ViaTalk, come to the table with better features and better prices.